Ionizing radiations (IRs) are widespread damaging stresses to plant growth and development. However, the regulatory networks underlying the mechanisms of responses to IRs remains poorly understood. Here, a set of publicly available transcriptomic data (conducted by Van Hoeck et al. 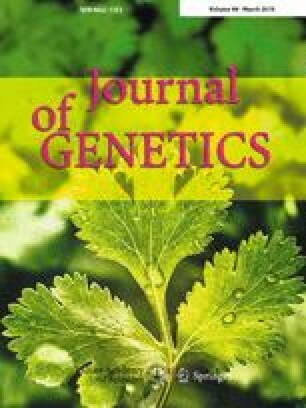 2015a), in which Lemna minor plants were exposed to a series of doses of gamma, beta and uranium treatments was used to perform gene coexpression network analysis. Overall, the genes involved in DNA synthesis and chromatin structure, light signalling, photosynthesis, and carbohydrate metabolism were commonly responsive to gamma, beta and uranium treatments. Genes related to anthocyanin accumulation and trichome differentiation were specifically downregulated, and genes related to nitrogen and phosphate nutrition, cell vesicle transport, mitochondrial electron transport and ATP synthesis were specifically upregulated in response to uranium treatment. While genes involved in DNA damage and repair, RNA processing and RNA binding were specifically downregulated and genes involved in calcium signalling, redox and degradation of carbohydrate metabolism were specifically upregulated responding to gamma radiation. These findings revealed both dose-dependent and type-specific networks responding to different IRs in L. minor, and can be served as a useful resource to better understand the mechanisms of responses to different IRs in other plants. Lili Fu and Zehong Ding contributed equally to this work. Jiaming Zhang and Zehong Ding conceived and designed the experiments. Lili Fu, Zehong Ding, Anuwat Kumpeangkeaw, and Xuepiao Sun analysed the data. Lili Fu and Zehong Ding drafted the manuscript. Zehong Ding and Jiaming Zhang wrote the paper. The online version of this article ( https://doi.org/10.1007/s12041-019-1063-8) contains supplementary material, which is available to authorized users. This project was funded by the International Science and Technology Co-operation Program of China (2010DFA62040) and Natural Science Foundation of Hainan Province (20164171), and the National Nonprofit Institute Research Grants (1630052016009).